People First: Your People First List Candidates: Vote People First on May 5th! Your People First List Candidates: Vote People First on May 5th! Sorry to be so off-topic, Sian but I have just read this on the Cneifiwr Blog. Can this be true? 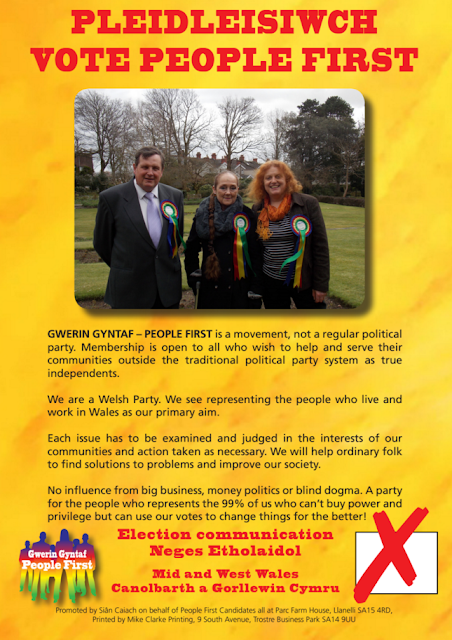 "In 1997 the Welsh Tories went down all hands on deck. William Hague, that prototypical Tory Boy, shut down the Young Conservatives. But it is claimed that there was one small corner of Cymru fach where the blue flame flickered defiantly against the gathering gloom before finally being extinguished. 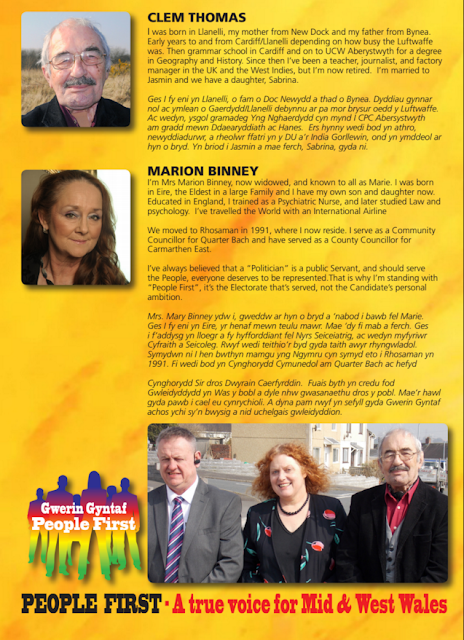 And of all places, dear reader, that was in Ammanford where, according to former school friends, Lee Waters enthusiastically embraced the Conservative and Unionist cause in a town reeling from the effects of Thatcherism." Massive difference between 74 and 97. 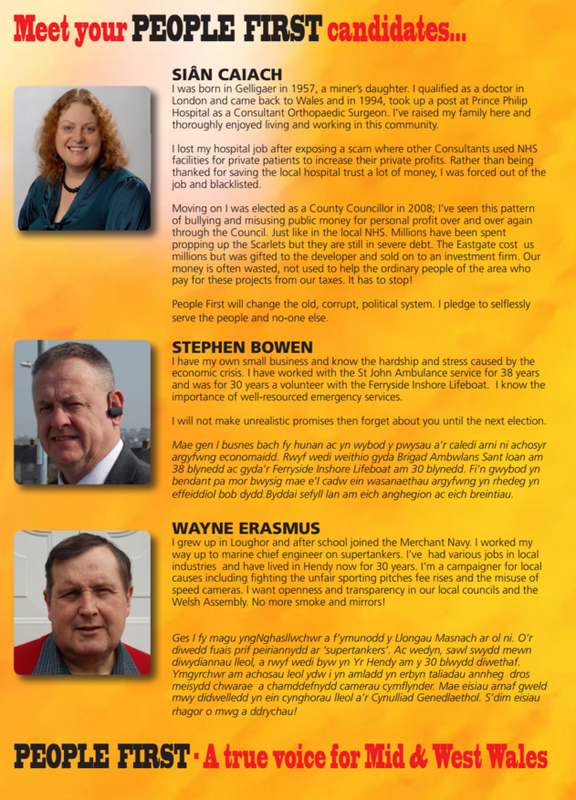 Pre and post Thatcher etc. This suggests opportunism. 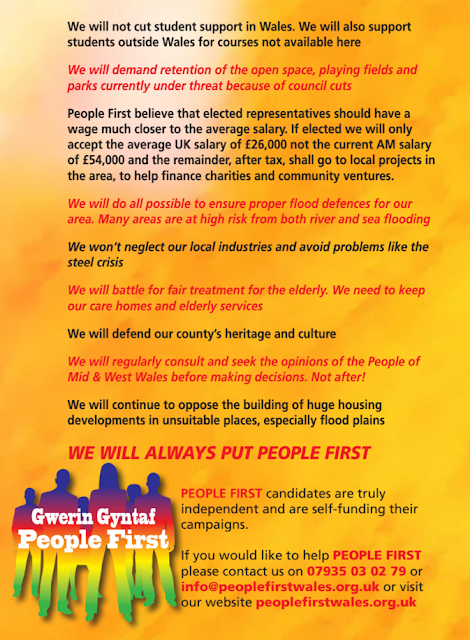 Siân Caiach: Vote People First on May 5th!